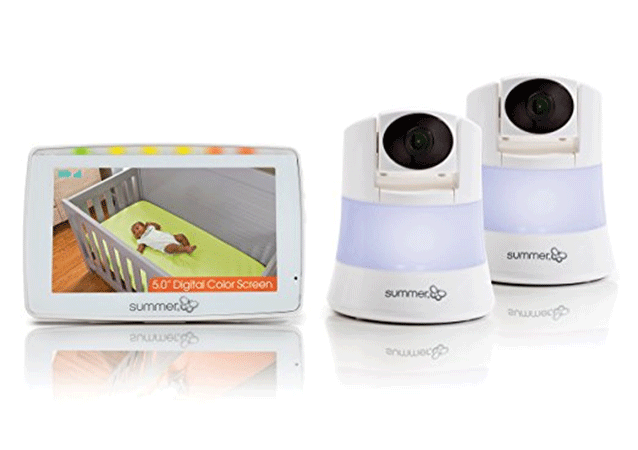 A dual camera baby monitor helps you keep track of your child’s movements using more than one camera. 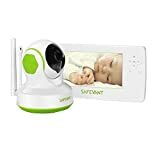 If you have more than one child and if they sleep in separate bedrooms, it is a great gadget to keep you abreast of what’s happening at home. Some monitors have a split screen function which allows you to simultaneously see what’s occurring in both rooms at the same time. 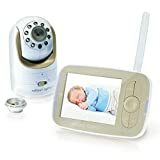 When looking for baby monitors, keep in mind the camera features; does it allow for split screens, what is the range of the device, what indicators does it have plus whether you would prefer two-way communication amongst others. 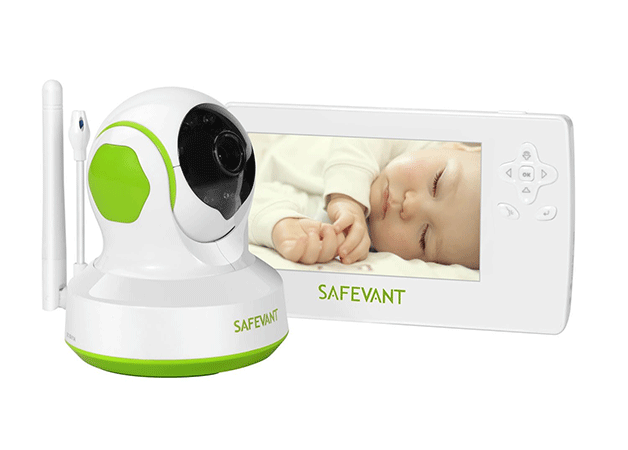 The Safevant 4.3-inch wireless digital video baby monitor camera has plug and play feature which make it quite easy to setup. 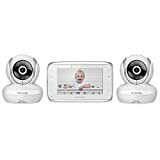 It has a 4.3-inch LCD display and allows you to connect up to 4 cameras to the monitor. The network has a 2.4 GHz signal and offers a range of up to 400 feet. 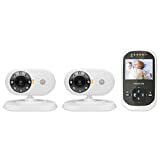 This baby monitor has a two-lens camera with zoom feature, has a range of up to 800 feet and allows you to add up to 4 cameras to use in other rooms. It also has a big 5.0 LCD inch screen and allows for night time viewing. 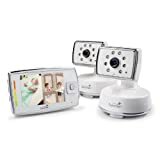 The Praktek Nexgadget is a wireless home surveillance camera with as adjustable pan tilt viewing. 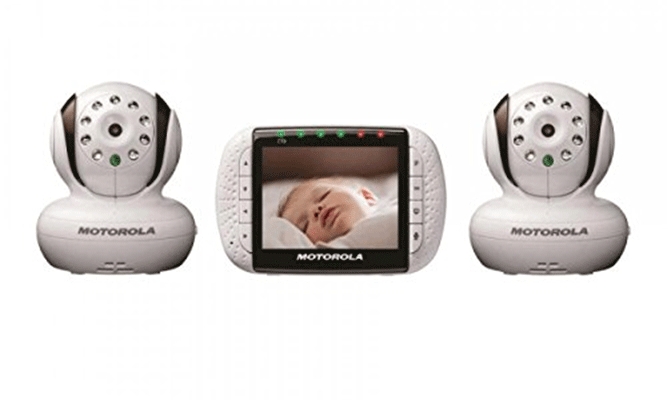 It has an intercom and lets you communicate with baby through the microphone. You can also listen to what is ongoing in the room through the speakers. 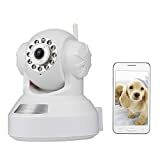 It has infra-red for night vision, a nanny cam, plug and play settings and Wi-Fi connection. Good quality cameras for both day and night surveillance. 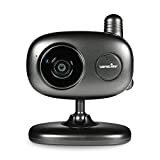 The Wansview 1080P Wifi Security Camera System has an app which allows you to connect via iOS or Android on your phone or tablet. 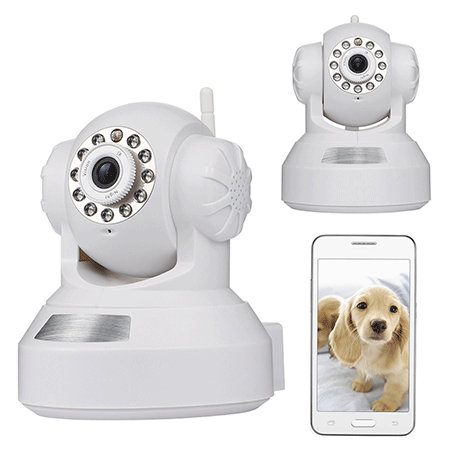 It supports remote viewing on a variety of platforms and has motion detectors. It requires 2.4GHz wireless network and has a feature for night vision. For storage of all your videos, it has micro SD card slot and has a two-way audio system. The built in 3 Dbi Antenna is there for reliable internet/Wi-Fi connection. 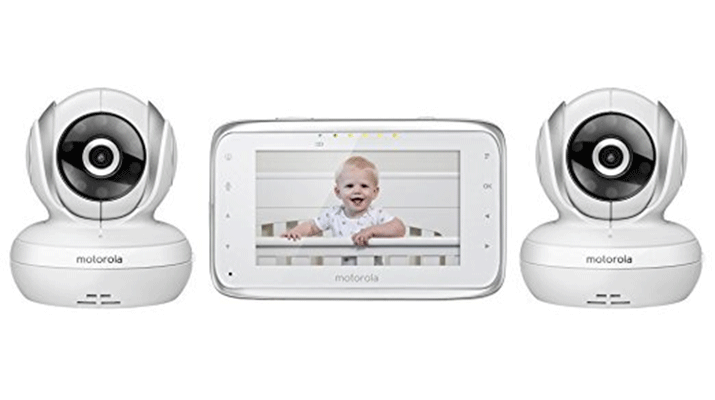 This baby monitor by Motorola has a 2.4 color inch LCD screen, two cameras with an infra-red feature, a two-way audio system, 2.4 GHz network and a sensitive microphone which picks up on noises within the baby’s room and range. 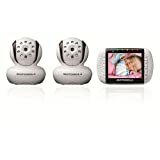 This MBP43-2 baby monitor from Motorola has two Cameras, offers infra-red night vision and has a 3.5-inch color screen. You can pan, tilt and zoom the camera within the room to view different angles in the area. It comes fitted with a power adapter and a rechargeable battery pack. 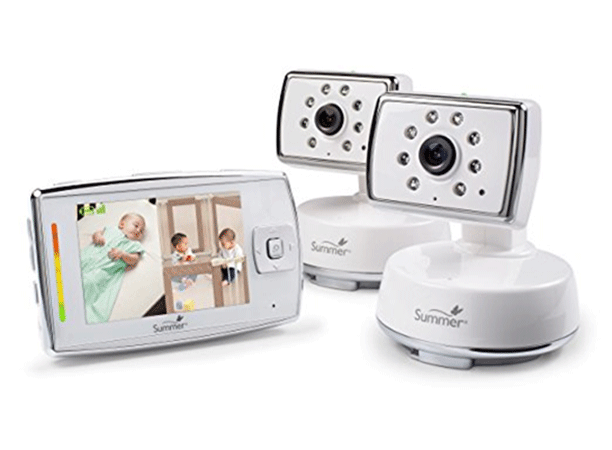 The Summer Dual View has a 3.5-inch high-resolution LCD monitor, allows for split screen viewing and also allows for two-way audio communication. 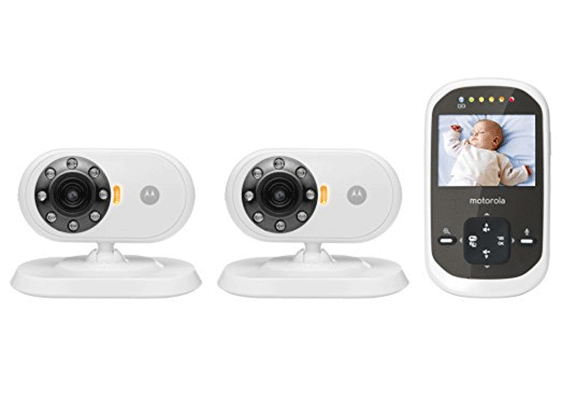 The cameras have two-pan features which scan the room using multi -level zoom cameras. It has a range of 600 feet, allows for additional two cameras and has low battery and out-of-range indicators. The Motorola MBP38S-2 has two cameras, allows for remote pan, tilt, and zoom. With a 4.3-inch parent screen, two-way audio feature and temperature display, it has great features for every family. It also features a 1000 foot range, allows you to connect to 4 units and has infra-red night vision. 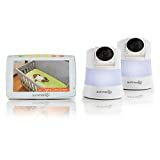 With a 3.5-inch color screen, 2.4 GHz network and an infra-red and night vision, this baby monitor is ideal for many users. 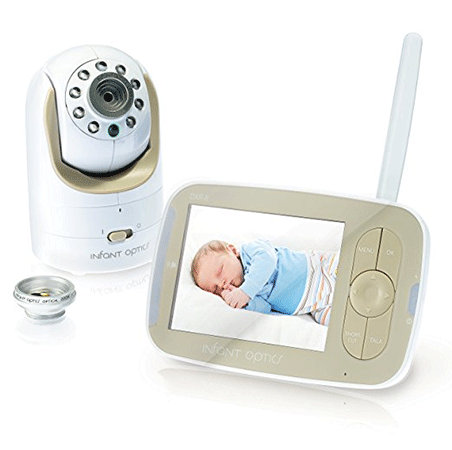 It has a room temperature feature, a range of 200 meters with out of range indicator and features remote camera access. 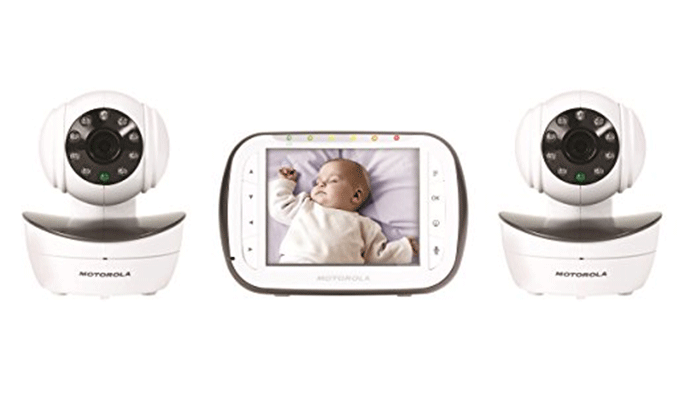 The Infant Optics DXR-8 video monitor is the only monitor with an interchangeable optical lens. It has 3.5-inch color LCD screen with a retractable antenna. Allows for remote access to cameras using a remote control, and you can pan, tilt, and zoom in whichever direction. It comes with an optical lens, with a flexibility of purchasing wide angle lens if you so wish. It has a sound activated LED display.